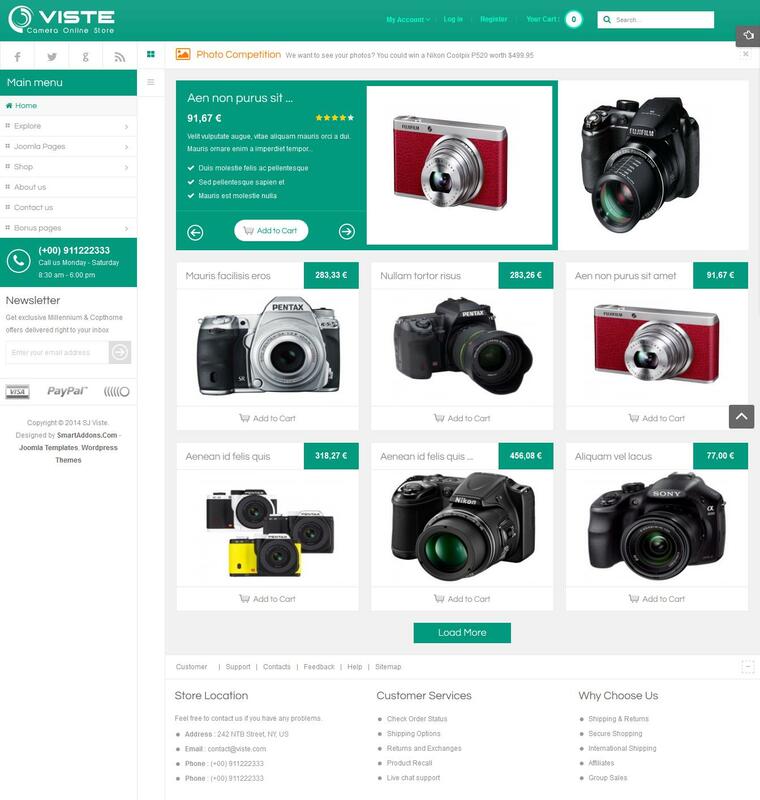 SJ Viste - a template for professional online store, which was developed by SmartAddons. This template contains a digital component famous trade VirueMart, designed for fast and easy selling products from your site. Its members also include elected expansion started for visual demonstration of resource pages. YT Framework - a unique platform that allows users to select the colors, font and set the appropriate printer. The unusual design of the layout will be displayed perfectly on all devices, whether - what tablet or mobile phone. Choosing SJ Viste, internet - shop acquire uniqueness and quality.